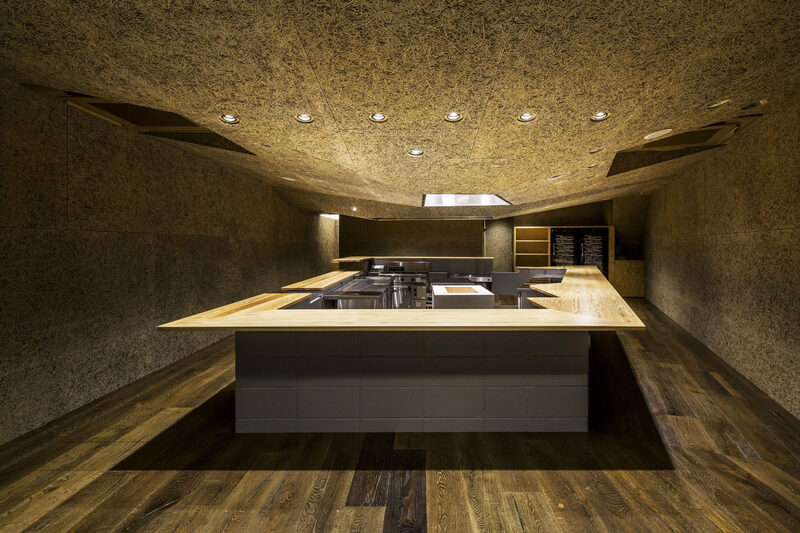 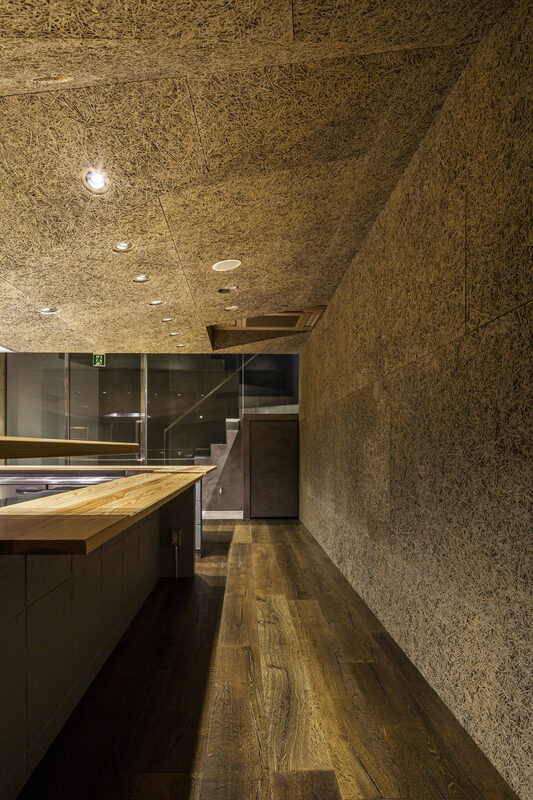 This interior design project by Mosaic Design was for new type of Italian Restaurant in Tokyo which has only counter seats looking at cooking meat on the fire. 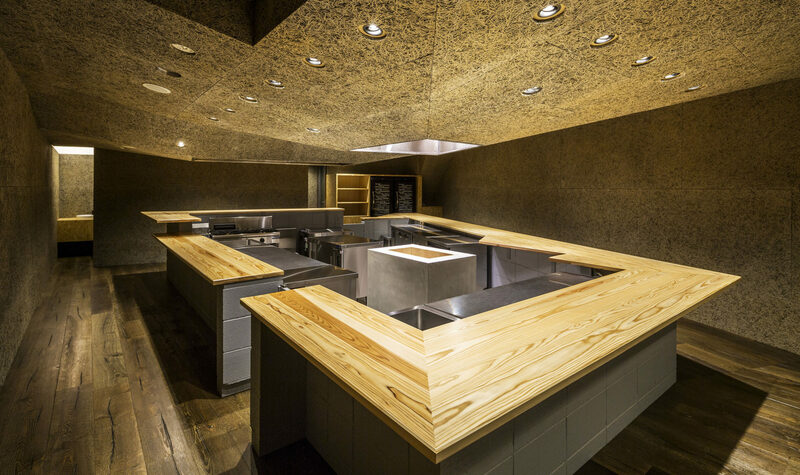 Every seats and deformed counter tables designed toward fire, having sense of unity and diversity of the condition of experience in the restaurant. 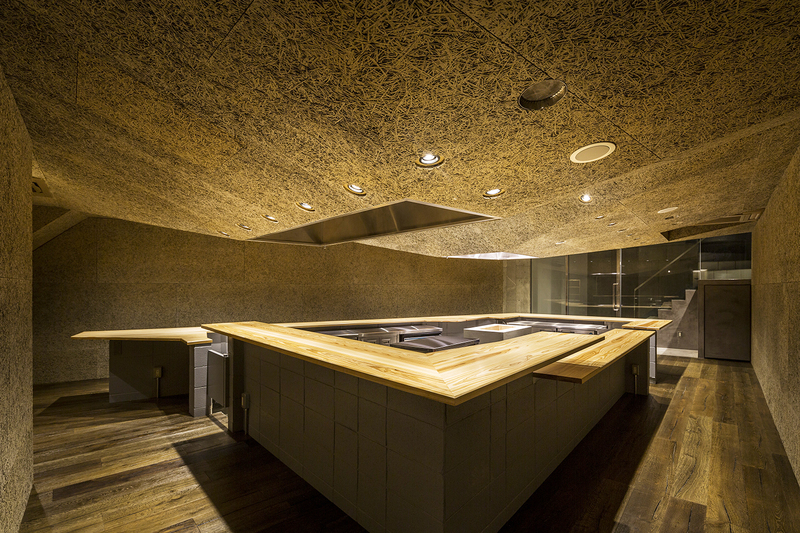 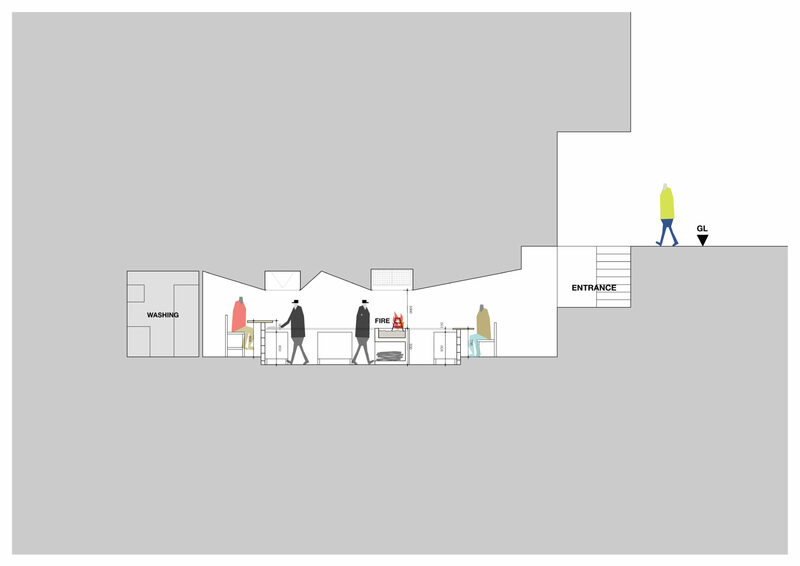 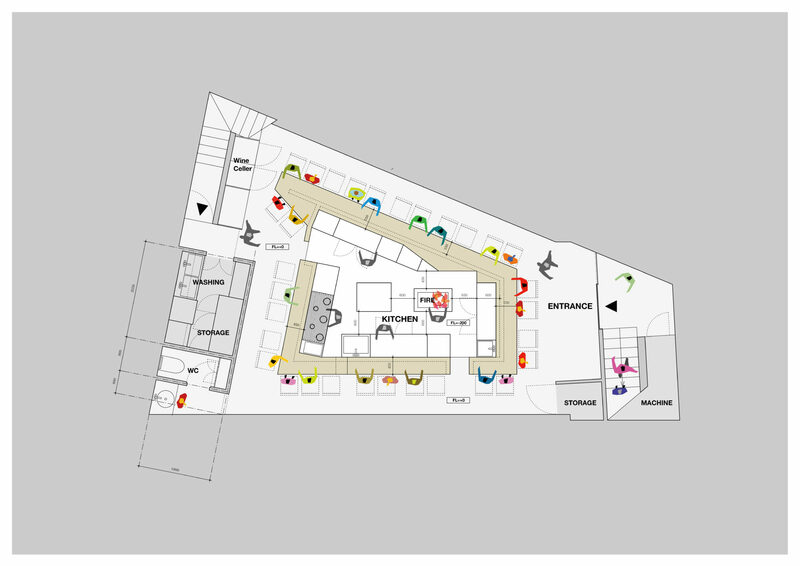 And the ceiling are also designed toward fire, and get space for machine inside ceiling. 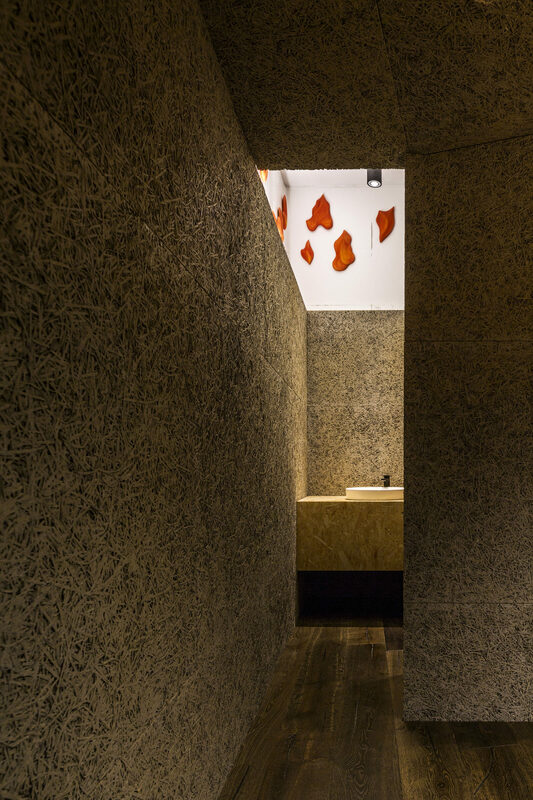 Low and deformed ceiling with rough material creates curious 3 dimensional feeling, and having highest ceiling hight space only in Toilet in this project creates humorous feeling of contrast of the space.